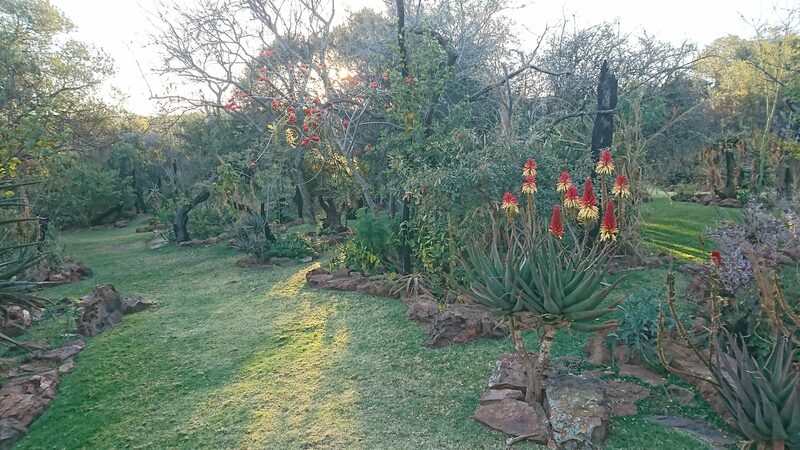 Aloe Ridge a 6700 square meter beautiful indigenous garden is set in the Northriding Agricultural Holdings Valley just below the Northgate Dome. There are over 300 planted South African indigenous tree species growing amongst the original Ancient African Olives, Mountain Karee, Bushman’s Poison, Common Hook Thorn, Red leaf Rock Fig and Rock Elder clusters located in the area. There are roughly 600 aloes dispersed throughout the garden in sandstone rockeries along with shrubs, bulbs and indigenous grasses. Under the shade of the trees are dense patches of Plectranthus (Spurflowers species) and other indigenous shade plants creating a forest floor effect under the tree canopies. Malcolm from Witkoppen Wildflower Nursery will hold a talk at the Nursery in the Bea Thompson Hall about ” INDIGENOUS PLANTS AND YOUR GARDEN” . A look at what an indigenous plant is ,why we should be planting indigenous plants, and some tips to make indigenous gardening easier and succesful. Sunday,24 february at 11.00 . The talk will be “SHADY GARDENING ISSUES”- A look at at the two main sources of shade in gardens and how to approch gardening in each type. We also look at some indigenous garden plants that happily grow in shade . As the show garden is quite shady the talk ” Shady Affairs” will be quite appropriate. So you have a look at the garden, enjoy a cup of tea and a delicious piece of cake in the tea garden at the open garden. Go and listen to the talk at the Nursery and as long as you keep the ticket from the open garden ,come back again and have a second look at the garden with a diiferent view. Entrance R50.00 inclusive talk by Malcolm at the WITKOPPEN WILDFLOWER NURSERY which is about 100m from the open garden. When you present your ticket from the garden the talk is for free plus you get 10% discount on all plants.Children under 12 free.